Dianne Beltran’s favorite quote is “Don’t count the days, make the days count.” Muhammad Ali was probably talking about her when he said it. Dianne is an unassuming powerhouse. 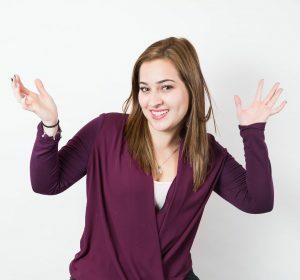 She graduated college in 3 years while working full-time, staffed over 500 nationwide events annually for nearly five years, and learned English within six months of immigrating to the U.S.
She hails from Colombia (the country, not the district), and loves the sun and coffee accordingly. Traveling and learning about different cultures are two of her greatest passions. Her recent trip to the Maldives was the envy of the office. She’s also a avid fan of Celia Cruz and the electric violin. Dianne honed her experiential marketing expertise in-house and in-the-field, a potent combination that she applies to the benefit of Montage’s clients. She is determined, detail-orientated, tactful and great at building relationships. She is proud to work for a company that prioritizes projects that benefit her community. Connect with Dianne on LinkedIn.